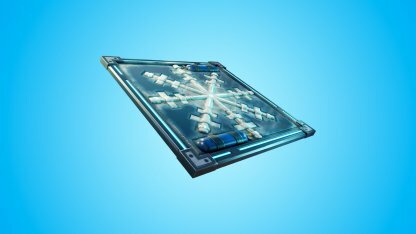 Find out more about the Chiller - the latest trap item introduced in Update 6.01! Find out about the effects when triggered and get tips on how to use them in a match. The Chiller is an item that that you can attach to walls, ceilings, and floors. Once triggered it will cause players to slip and slide due to low friction. Check Out All Item List! Applies icy feet to all players, causing them to slide around with low friction. Chillers can be placed on most surfaces so it would be easier to catch players unawares. When a Chiller is triggered, it will freeze players feet into blocks of ice, making movement slippery - moving down inclines becomes faster but moving up inclines is more difficult. 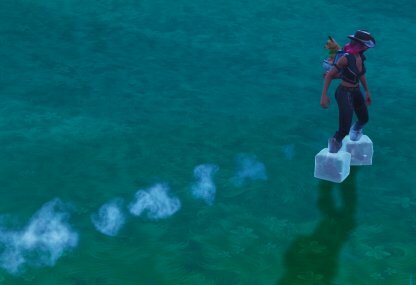 Use a Chiller to go downhill faster by taking advantage of the low friction due to the ice blocks. 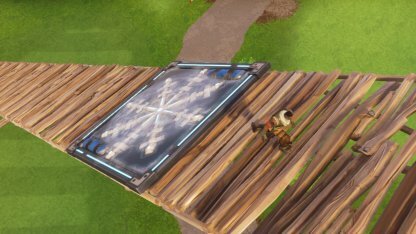 Place the Chiller on stairs to prevent enemies from chasing you up your structure. Take shots at them while they slide down! Players affected by the Chiller will have difficulty moving so take your shot while they're sliding around.